Here’s the thing about writing regional poems: you have to be careful. 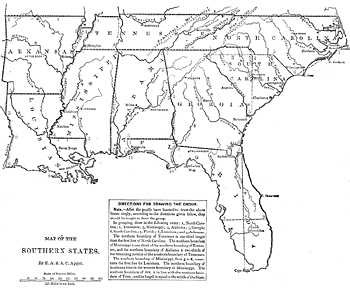 As a native of Florida (and of the South, no matter what some folks may say), I find that an awful lot of my work takes on the dialect, the idioms, and the culture of our southeastern United States. However, that gift of geographic identity is a double-edged sword. It becomes very easy to cross over from the easy grace and subtle lilt of Southern verse to something that is pure cornpone. When I find my work sounding like bad country music, I know it’s time to drop back and rethink. I’ve always been a firm believer in central metaphors — those comparisons that build poems from the outset. However, when those metaphors are already overdone (sunsets=symphonies, etc. ), then it’s time to step away from the work for a while and allow the creative juices to do their job. The South has a far too dynamic history to be denegrated by bad poetry. There are already enough cheesy lines about Mama’s Cookin’ and Daddy’s Workin’ without more people contributing to the drivel. Certainly, food and labor are staples of life here in the American South, but expressing those same sad sentiments in echoed cliches does nothing for literature or culture. To my fellow Southern Writers, I urge you (as I urge myself) to examine and edit closely. Much like hard-core evangelicals’ “WWJD” bracelets, I would ask a similar and perhaps slightly blasphemous question of our work: What would Robert Penn Warren think? You could replace the name here with the exemplary Southern poet of your choice: Natasha Trethewey, Kevin Young, Rodney Jones, whomever. But in the end, if our work doesn’t measure up to the high standard set before us, we’re just wasting our ink.